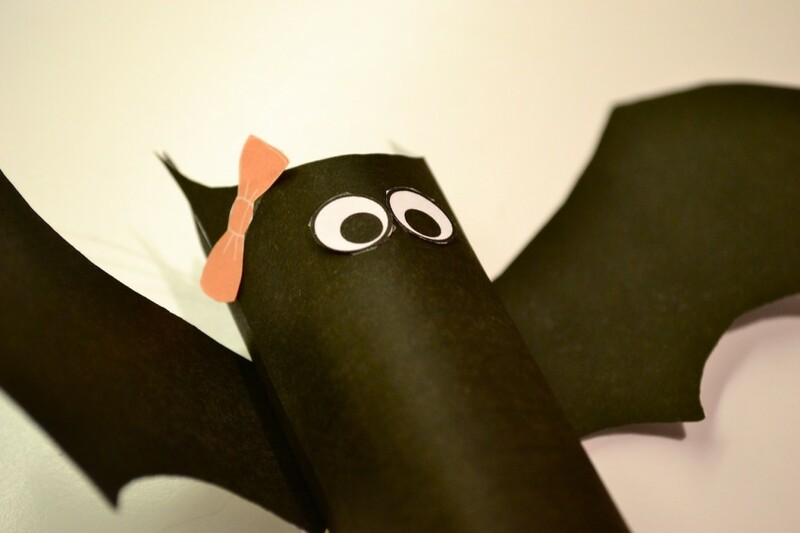 This Halloween, make your own bats with your kids! This free, printable template is perfect for practicing fine motor skills while creating adorable decorations for the holiday. 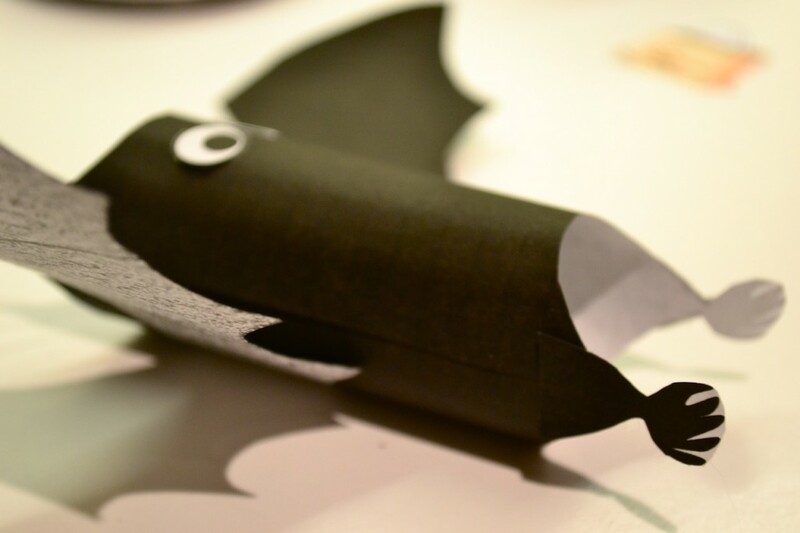 Crafty parents: these cute creatures can double as a wine bottle topper. See pictures below! 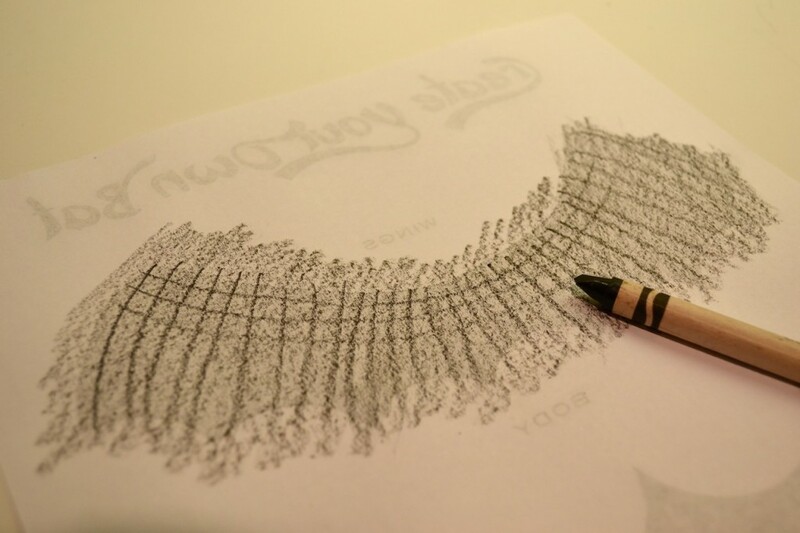 Start by printing the above template and use black crayon to color the reverse side of the wings (and body if you’d like). 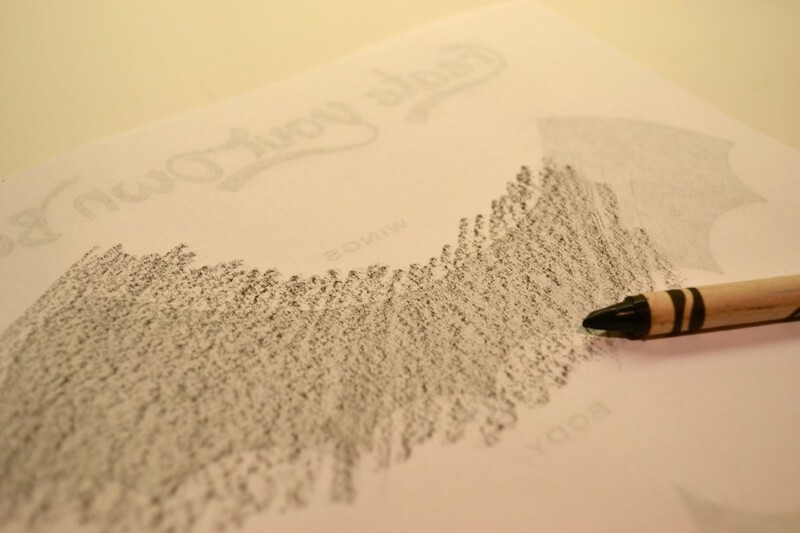 You can color solid, add a pattern, or even use a leaf underneath the template to create an impression with your crayon! 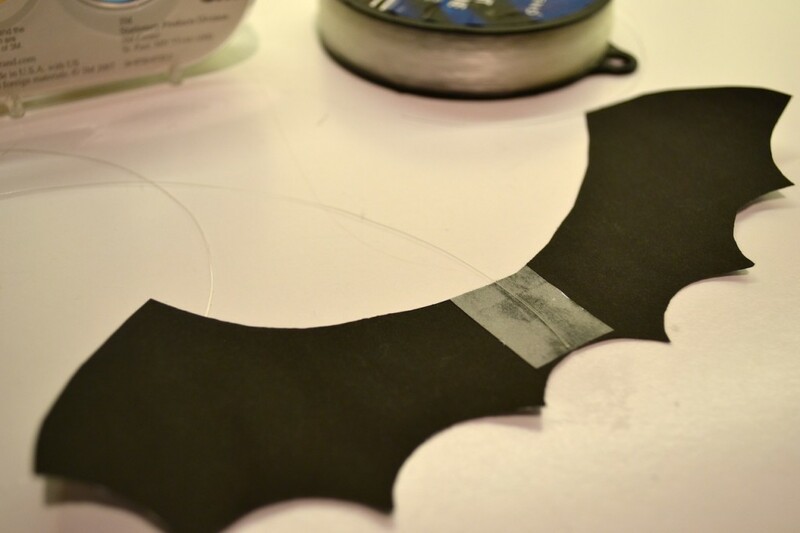 Next, cut out all the pieces from the template. 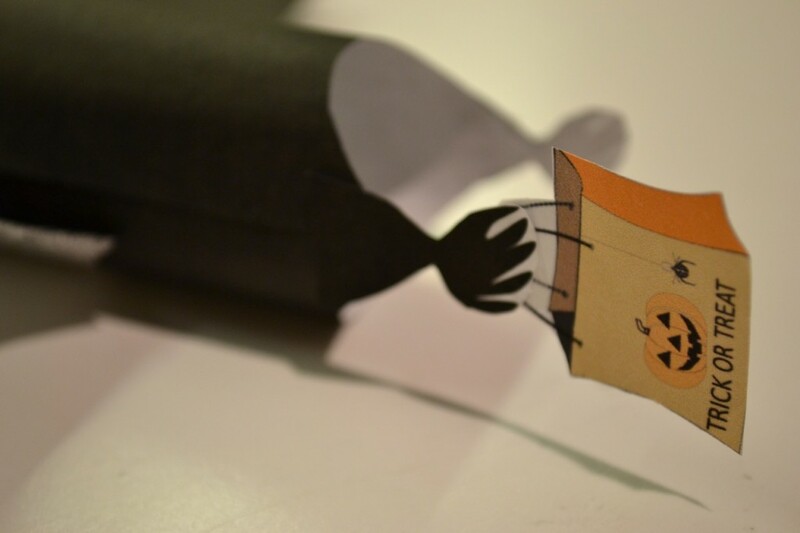 This is challenging scissor work for little hands! 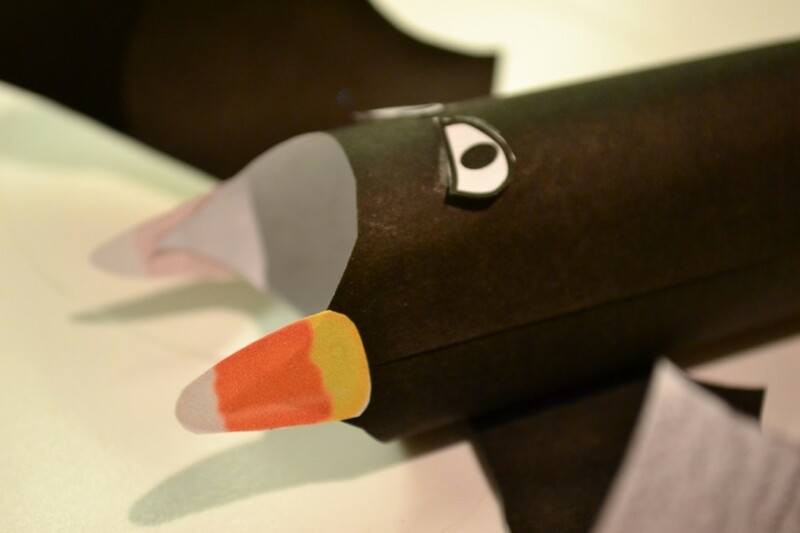 Supervise or help cut out the tough parts for young kids. 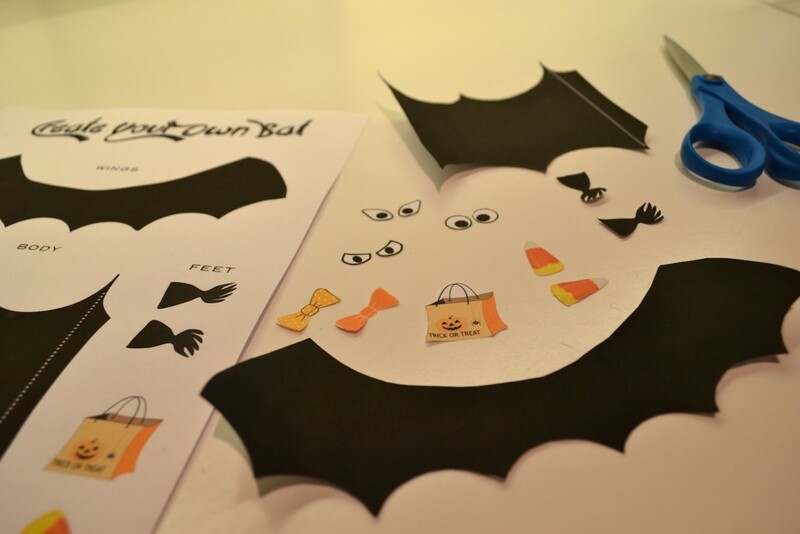 For the bat feet and handle of the Trick or Treat bag, don’t worry about cutting around the little black pieces! Just round off the image at the outside border. 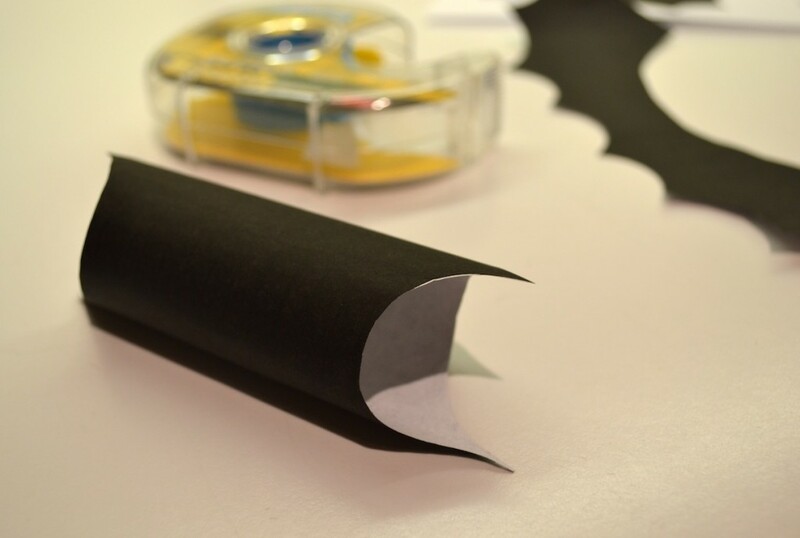 Use removable double-sided tape or glue to line the edge outside of the dotted line on the body. 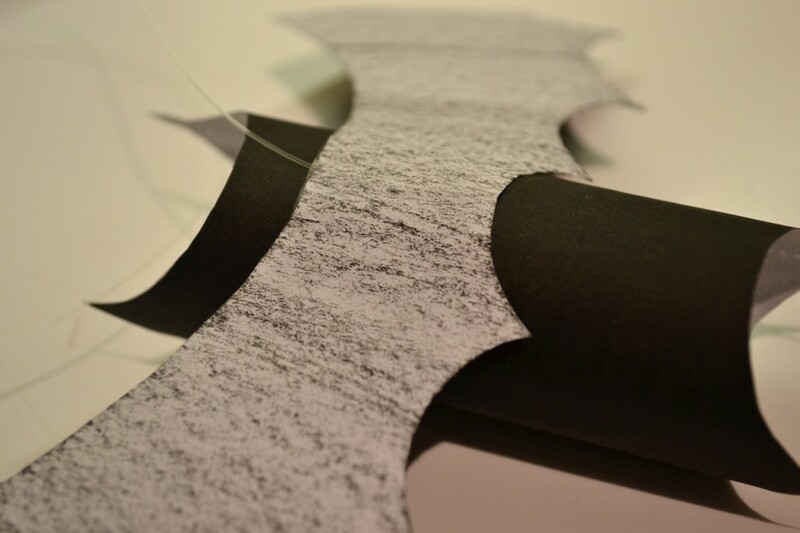 Now, simply roll up the body, securing it with the sticky edge. Be careful to line up the ears! 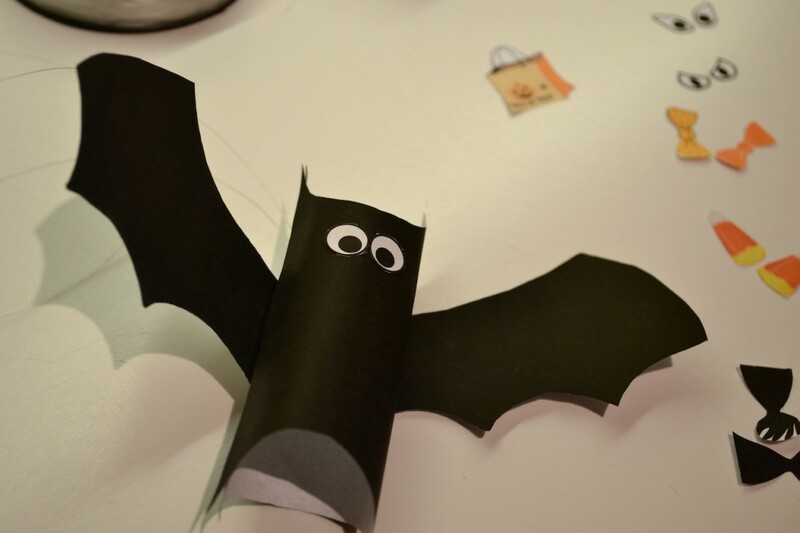 then attach to your bat body! 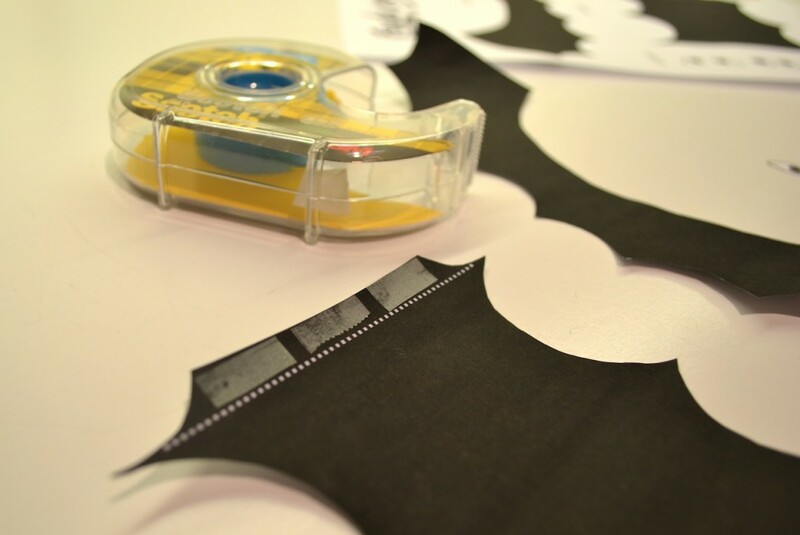 Now is the really fun part: customizing your bat! 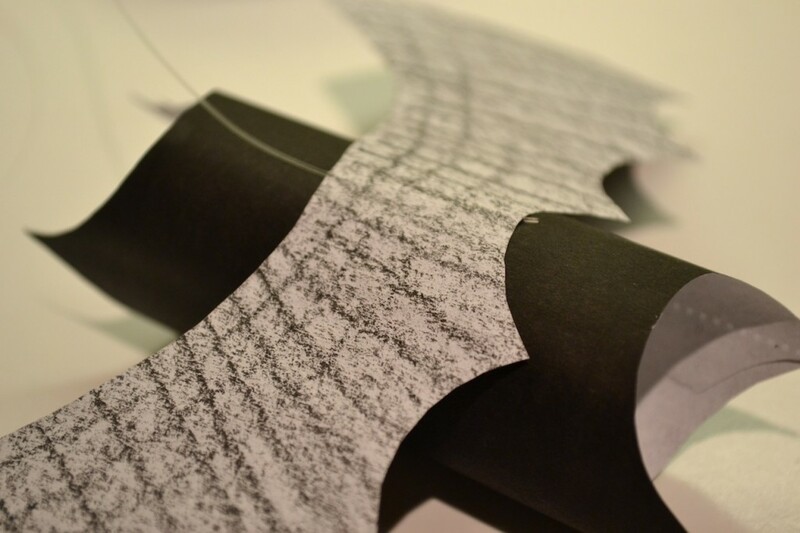 Choose a set of eyes and attach them with tape or glue. Next, add the feet and accessories! You can use a bow as a “hair” bow or as a bowtie. 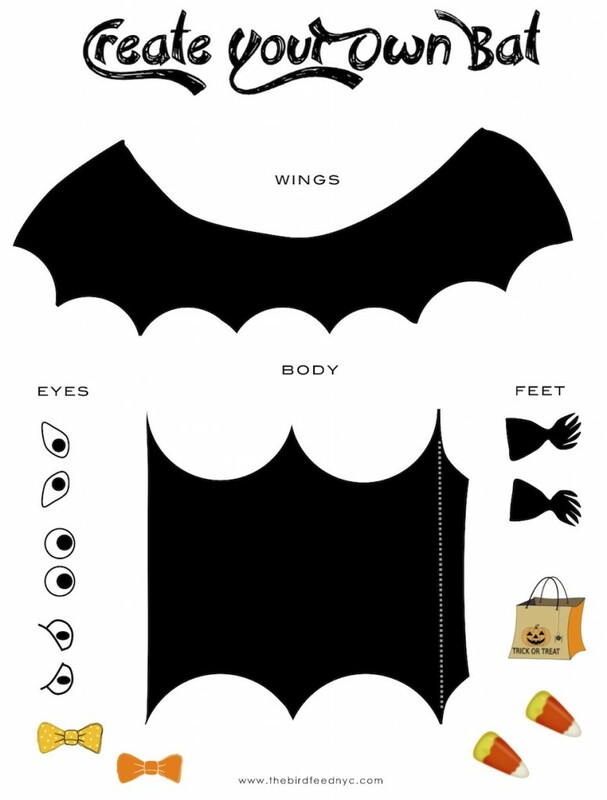 I put the Trick or Treat bags hanging from my bat feet but you could also have your bat carry its bag from its wings. 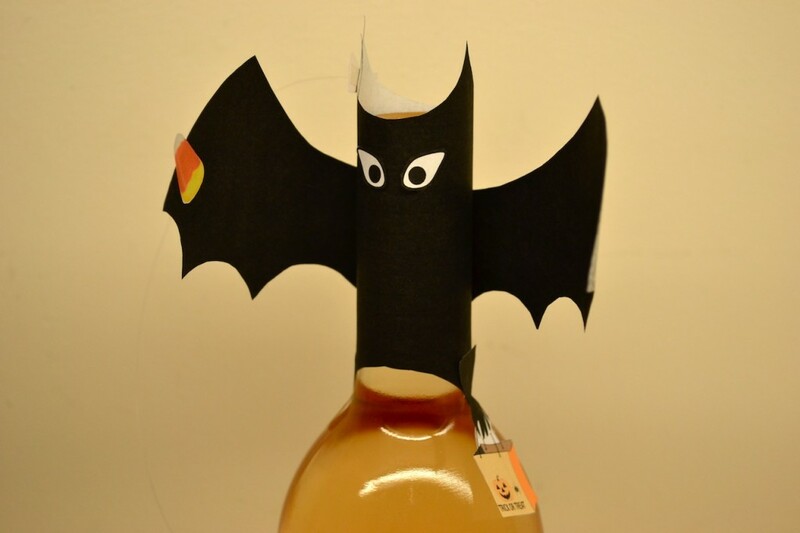 I decided to use my candy corn as bat ears! 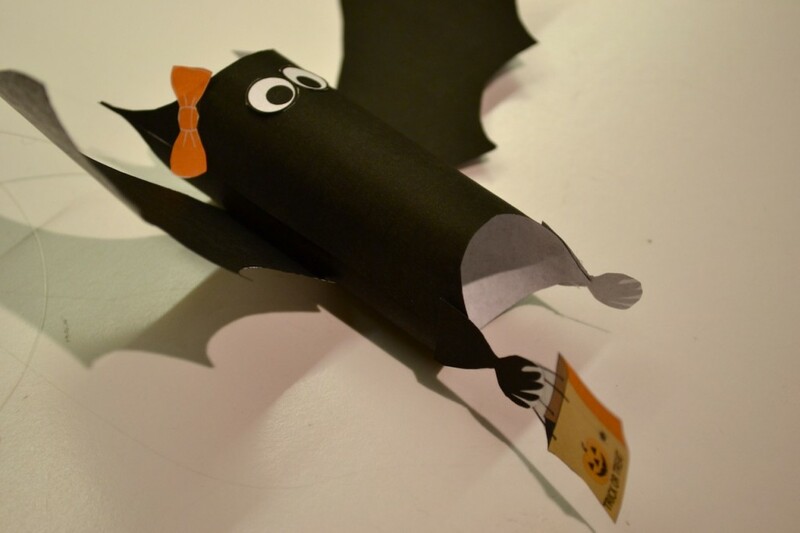 You can put yours in your bat’s wing, feet or put them in the candy bag. 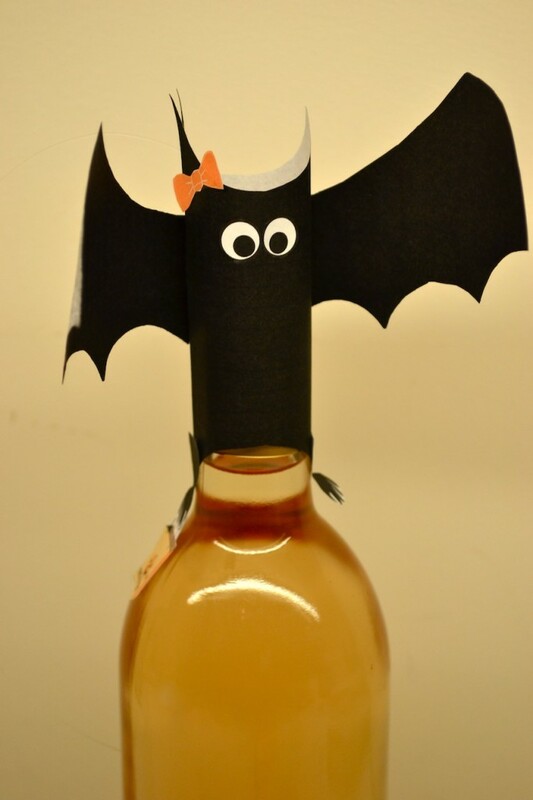 For adults: check out how cute the bats look as wine toppers! They fit perfectly! 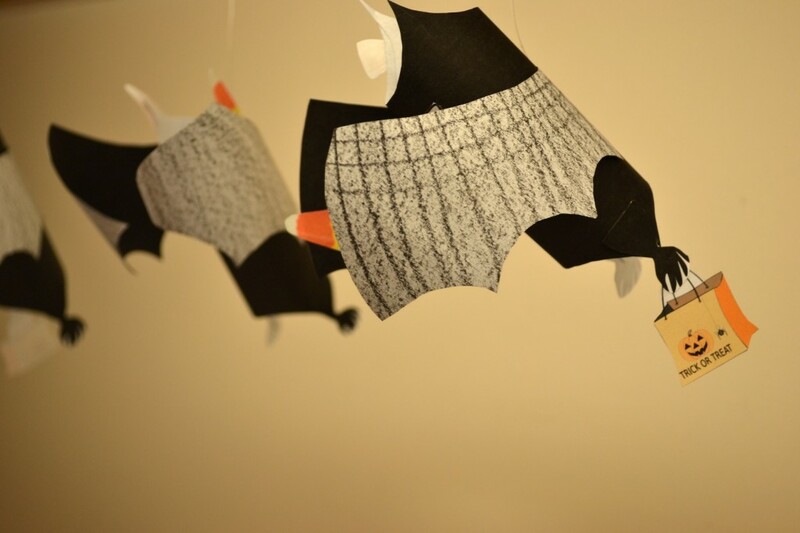 These bats are so lightweight, it’s easy to hang them in almost any way. 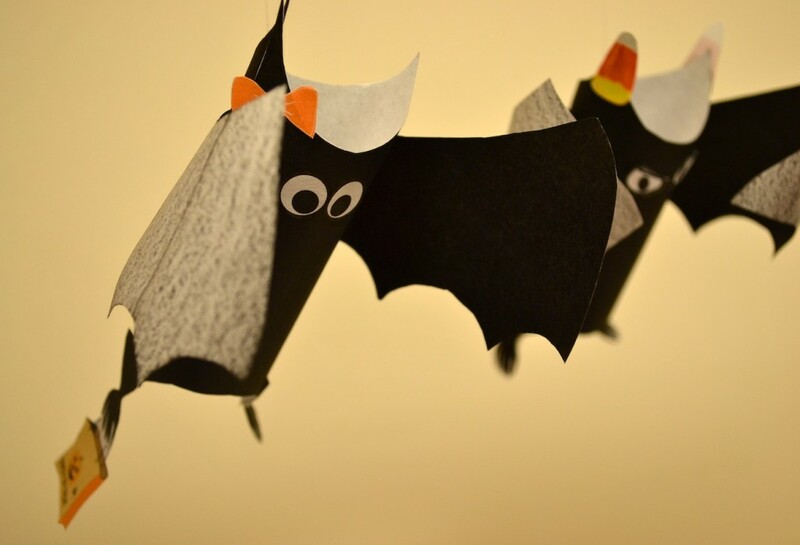 They look adorable hanging in front of a window or you can make a mobile by attaching a few bats to a twig, then hanging your stick with more fishing line!